Not only does Bar Harbor offer wonderful activities for visitors, it also offers a rich history. Many prominent figures in American history have either visited or lived on Mount Desert Island. The Vanderbilt Lodge is located on the original property owned by the George Vanderbilt family (and is the only original building from that time), the cottage being a "hunting lodge" for guests staying at the main estate. 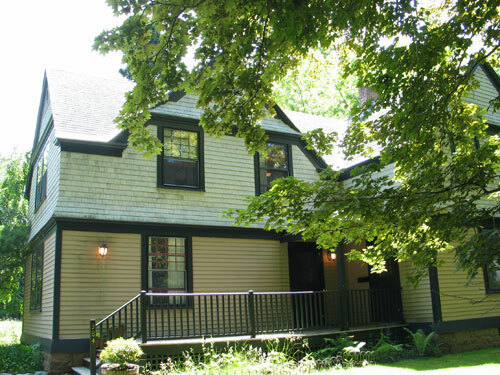 This lovely, well-kept "cottage" features the original beautiful woodworking, spacious rooms, high ceilings. The delightful porch and patio provide wonderful outdoor space for dining and relaxing in the relatively private and peaceful setting. 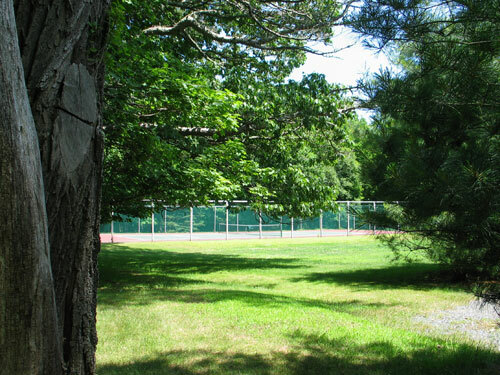 Guests also have use of a private tennis court (bring your own racquets and balls! ), and can access a shared pier in Cromwell Harbor (about a10 minute walk). However, there is no mooring so is not boat accessible. 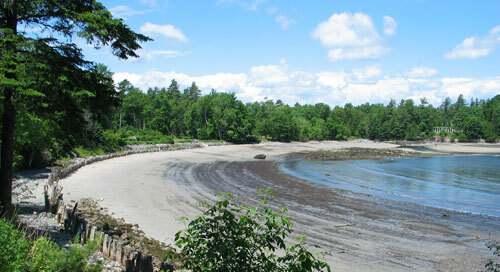 You can also enjoy the Cromwell Harbor beach area by hiking down the rocks to the shore! The main floor of the cottage features the lovely foyer, formal dining room, living room with decorative fireplace (and sleep sofa), newly renovated kitchen, laundry room/pantry, and a 1/2 bathroom. The second floor features the master queen bedroom with decorative fireplace, large bathroom with shower and claw foot bathtub. There are also 3 other queen bedrooms and a bathroom with rainshower! Walk to town for dinner, or pick up the Island Explorer Bus near the cottage and explore Acadia National Park and the rest of Mount Desert Island. One entrance to Acadia National Park for hiking, biking, and sight seeing is only two miles. Enjoy this wonderful piece of Bar Harbor history. It's a great and comfortable location for your family. 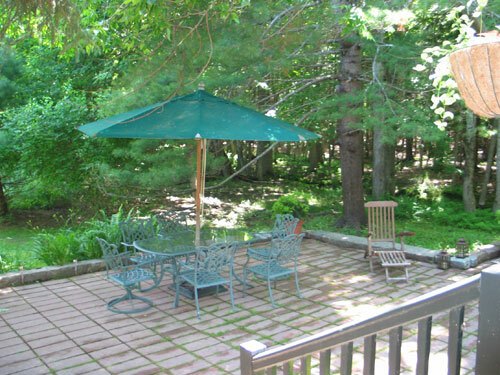 Other amenities include a cable TV, DVD, WIFI, washer/dryer, microwave, dishwasher, gas BBQ grill, a patio deck with outdoor dining furniture, and parking for two or more cars. Click here for more complete list of household items/amenities. Vanderbilt Hunting Lodge is convenient to the best of Bar Harbor and Acadia National Park. Downtown Bar Harbor is just a 10 minute walk away (sidewalked), and the Sieur De Monts Springs entrance to Acadia is just 1.5 miles away. Enjoy hiking, biking, boating, whale watching, kayaing, lake swimming, carriage road walks, horse back riding, wonderful dining, shopping, deep sea fishing! Visit the oceanarium, sail on the Margaret Todd, take a Jackson Lab visitors tour, enjoy tea and popovers at the Jordan Pond House, golf at a PGA top-rated course, play tennis. Kids activities include water park, miniature golf, beaches, and lots of ice cream/dairy bars!